Use Adobe Indesign to create your designs. 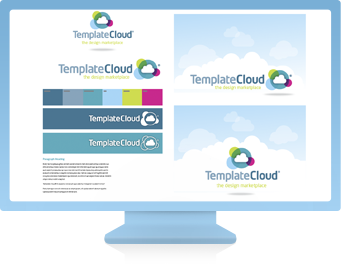 TemplateCloud turns them into editable online templates. Earn royalties everytime your designs are sold, anywhere in the world. Sell designs from TemplateCloud through your online print store. Seen a design you like? Find out where to buy. TemplateCloud.com is the design marketplace for graphic designers to sell their designs and earn commissions. You create the designs. You use our software and system to build them into online editable templates. We sell your designs in different countries, to different types of customers and via different websites. Each time a customer uses your design, we pay you a royalty. You set the price. You choose where we sell your designs. Got an e-commerce platform? 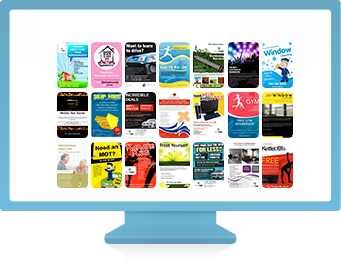 Want to offer thousands of editable designs to your clients? Without replacing your existing website or changing how it works, TemplateCloud enables your visitors to search for designs, see preview thumbnails and then edit the templates. The TemplateCloud API then generates a print ready PDF for you to download within minutes. Find thousands of Industry specific designs with eye-catching photography and creative copy to help promote your business. Change text, fonts, colours, and choose from 14 million images to make the right design for you - it's easy.